When Quality Effort does not = Quality Result! Complete surrender to Life is not inaction, it is deploying great intelligence! A young reader told me, in response to my blogpost of yesterday, that the idea of letting go and trusting the process of Life, of living dangerously, in complete surrender, conflicted with free will. He suggested that the very fact that you are endowed with the ability to think is evidence of the need to employ your free will in all circumstances. I don’t believe the young man is wrong with his reasoning or understanding. The truth is, in any situation, you have both the choice and the right to use your discretion, your judgment, to do what you want to do. But the truth also is that not always will your efforts deliver the results that you deserve or you want. So, complete surrender, really does not mean inaction; it does not mean you must not do what you can and must do. It only means that you must leave, surrender, the outcome, the results, to a Higher Energy, to Life, while you choose to remain unfrustrated with the outcomes. I received an email from a reader of my Book Fall Like A Rose Petal yesterday. He said he had run up a sizeable debt in his business and was ‘suffering with the way Life was treating him’. He has three children and his parents are totally bed-ridden – struck by Parkinson’s and dementia. He wrote: “I do everything diligently. I work hard. I pray. I am dutiful to my parents and family. But my business just isn’t picking up. I don’t know what to do. Day in, day out, I am suffering.” Now, in this reader’s case, his free will is in full deployment – he’s doing everything possible as a business owner, parent, son and spouse to deal with his Life. But he’s suffering only because he expects his ‘righteous’ actions to turn around his business fortunes. To end his suffering, all the man must do is to drop all expectations that his efforts must add up to a reversal of his business fortunes in the timeframe that he is defining; while simply continuing to peg away daily on doing all that he can, he must and he is doing. Simply, Life does not operate on a ‘Quality Effort = Quality Result’ paradigm. Life does not also operate on a time scale we humans practice. Life has a mind of its own and operates at its own pace. Things happen only when they happen. Period. Therefore, what we must all understand is that employing free will, righteousness, sincerity, talent, integrity of Purpose, none of these can guarantee us the results we expect. In fact, there are no guarantees in Life. Surrendering to this reality is the only way to journey through Life without suffering. When what you expect doesn’t come your way, despite your best efforts, then don’t think something is wrong with you. It only means that you must learn to surrender your expectations. Internalizing this learning is also about employing free will – where you are recognizing that sometimes the most intelligent thing to do, to be unfrustrated with Life, is to do your best and leave the rest to Life! Author AVIS ViswanathanPosted on January 3, 2017 January 3, 2017 Categories Destiny, Free Will, Life, Total Surrender, UncategorizedTags Art of Living, AVIS Viswanathan, Bhagavad Gita, Destiny, Fall Like A Rose Petal, Free Will, Happiness, Happiness Curator, Inner Peace, Intelligent Living, Life Coach, Living Dangerously, Non-Suffering, Osho, Pain, Saranagati, Spirituality, Suffering, Total Acceptance, Total Surrender, Vaani1 Comment on When Quality Effort does not = Quality Result! When you go with the flow of Life, you will never be let down. There isn’t anything more to be said or done. Let it go. Let it be. And know that Life will take care of you. Even so, since the mind will seek an elaborate explanation, here it is. We must understand that we – you and I – have been created to enjoy Life. Not to merely endure it. Life never promised, nor does it guarantee, any fair-play. It is your expectation from Life that makes you classify mere events in your Life as fair or unfair. At a very elementary level Life is simple. And beautiful. You complicate it by setting certain conditions to Life. And one of those conditions is that, because you are honest, hardworking and sincere, nothing other than what you have planned must happen to or with your Life. But Life has a mind of its own. Anything can and will happen to anyone. Anytime. In all such times, instead of seeking answers and solutions – or pinning the blame on people and circumstances – outside of you, simply trust Life. Know that if you have been created, without your asking for it, you will also be taken care of. So, when you don’t know what to do, just let go and totally surrender to Life! Your total surrender to Life will not necessarily change your external circumstances. Your relationship challenge may still persist. Your struggling business may still gasp for cash. Your health problem may continue to prevail. You may still be out of job. But deep within you, you will feel peace. Despite all the challenges that you are faced with, you will be enthusiastic about Life. And that’s because the God, the divinity, within you is at work. The word enthusiasm has a Greek root. ‘en’ means ‘within’ and ‘theos’ means ‘God’ in Greek! So, enthusiasm is really about experiencing the God (godhead, divinity) within you! But to ‘feel’ this inner God, you must let go, you must surrender to Life. Total surrender is not at all complicated as people make it out to be. It is downright simple. It is what happens when you learn not to interfere with the Life that is happening to you and when you go with the flow. Whenever I don’t know what to do, I simply surrender, I simply go with the flow. And from my experience I can tell you, I have never been let down by Life! The truth is that Life has always been flowing on its own. This lady is merely articulating what many of us don’t – but we all experience similar situations. Let me give you an elementary example. Some months ago, I was trying to make a film on Windows Movie Maker, trying to stitch together various video clips. I just couldn’t understand, on my own, how the clips could be made to play seamlessly. Somehow the self-help videos on YouTube or online support links were not very clear with the way to resolve the specific glitch I was facing. I was frustrated with my efforts. I had a problem. And I was insistent that I find the solution. Finally, I called a young friend who uses Windows Movie Maker often. And he gave me the lead to the solution in a nano-second. So it is with Life. There are many Life situations when a human, logical approach will not work. I don’t want to go all over the place citing examples of such a situation – think MH 370 and think about why all the human powers – and intelligence – in the world have been incapable of locating this plane. So, I rest my case. You may have experienced this or may be faced with one just now. In all such cases, that you cannot solve, despite your best efforts, learn to let go. Clearly, there are times in Life when nothing will go your way. There will be so much unsaid, so much unresolved. And it may just seem like everything is wrong about your Life. Every effort you make, each step you take, you will be stonewalled, tripped or pushed to a corner. The mind will invite you to despair. Decline that invitation artfully and let Life lead you. You get out of your own way! Relax. Get yourself a cup of tea or grab a drink if you can. The mind is like a tennis-ball practice machine. It keeps spewing out worries and fears endlessly. These debilitating thoughts will tell you that you can and must solve the problems that face you just now. But what if you have already tried all that you can think up of. And failed. And the problems persist. The very thought that there’s no way forward may force you to allow your fears to take hold of you. Please don’t let them. Your fearing something is not going to take that something away. Life is to be faced. Not feared. So, let Life happen as it has been happening and as it is happening. These are times when accepting that there’s no choice is an intelligent choice in itself. Exercise it. When we try to solve some of our problems and don’t meet with much success, intelligence lies in letting go, letting Life take over, and getting out of our own way. The truth is that Life has always been flowing on its own. You and I have done precious little to make our lives happen. Getting out of your own way is not inaction. In fact, it is a more sensible action than to be perpetually frustrated and fearful! When you get out of your own way, you can see the way that Life has laid out for you clearly! And that way, always, takes you to where you must eventually arrive! Live in total surrender and you will live happily ever after! Yesterday, a well-meaning friend suggested that we try a new form of Vaastu that helps release positive energy in a living space. His point: Vaani and I badly need that positive energy to bounce back in our Life and business. While I don’t deny that we need to bounce back in business, we can’t quite relate, anymore, to any of the methods that are on offer. Not that we didn’t try them before. We did. We wore rings and stones on our fingers, we tried foo dogs and laughing Buddhas and fountains and gem trees, we tried “freeing” up the north-east corner of our home and almost every method that’s available in the public domain. To be sure, we still consult astrology and use it like a dashboard. Even so, with due respect to all the sciences that promise “better living”, I can, through my own personal experience, learnt that the only science that works for intelligent living is the science of silence, Self and surrender. Simply, when you embrace silence, you understand your true nature, your true Self, and through that understanding you learn to let go and surrender to Life. I have come to realize that this is the best way to live. Don’t protest any situation. Don’t berate yourself. Don’t be angry, guilty, fearful or anxious. Just accept what is, work to your best ability on changing what is if you don’t like it, and surrender to Life’s ways, to its flow. This is a discipline – like a fitness regimen or a diet or a manufacturing process. You learn to perfect it over time. And you start by being silent for a certain period of time daily – usually 20 minutes is a good start for beginners. Slowly increase it to an hour. During your silence period, you remain silent; don’t try to silence the environment, you remain silent! With diligent practice of daily silence periods, you will awaken to this truth that your trying to control your Life is meaningless drama. You will know that whatever is happening to you is beyond your control and is happening in spite of you and never because of you. Then you will realize that total surrender – saranagatias the scriptures teach us – is what intelligent living is all about! Surrender does not mean inaction. It only means that you act knowing that the outcome is not in your control. Not in your hands. So you act, to the best of your ability, and leave the outcome to Life – accepting whatever is! Then you are forever soaking in positivity. You are always happy no matter what circumstances you are placed in. You don’t need any crutches – Vaastu, Feng Shui, superstitions, astrology, gemology – to live. To live well, to live happily, you only need to be silent for some time daily, you will then know who you really are and will realize the value of total surrender! 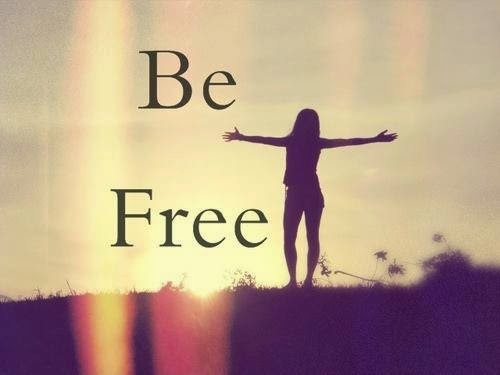 Surrender to Life and be free! Surrender to Life. This is the only action required of you. When you surrender, you will be free. When you are free, you are peaceful. When you are peaceful, bliss follows. With bliss comes abundance. With abundance comes allthat you need. When you are in that state, you are radiant. It’s possible for all of us to be resplendent, radiant like the idol at Tirupati. Those who have been to that temple shrine in southern India will agree that they are speechless, they are thoughtless when in front of the main deity. Many confess they have even forgotten how to pray or what to seek when in the sanctum sanctorum for those few nano-seconds. They speak of divinity and they speak of a super power. They are mesmerized by the glow radiating from the idol, their Lord. They believe it is a superior energy that is embracing them when in proximity of that idol. I don’t wish to challenge their beliefs. But I want to say that you too can radiate that kind of energy. Only if you surrender. Only if you submit yourself to Life’s situations. All your pain comes from fighting, from resisting Life. All suffering comes from expecting your Life to be different from what it is just now. When you give up the fight and when you stop expecting, you will be at peace. In that state you will be bereft of all wants and yet be abundantly endowed with all that you need. In such a moment, you are one with the Universe, with creation. This is where you begin to radiate the energy that created the Universe. This is not just spiritual thinking. This is metaphysics. And this freedom comes from surrender. Try it. See what you are enslaved by. And break free. When you realize the nothingness of your creation, the emptiness of your ‘self’, you will be filled with abundance, drenched in a radiant energy. Then you don’t need anything….because you have all that you need, you have freedom! You are free! Author AVIS ViswanathanPosted on March 9, 2015 March 14, 2016 Categories Art of Living, http://schemas.google.com/blogger/2008/kind#post, Inner Peace, Intelligent Living, Linji Yixuan, Live Free, Metaphysics, Osho, Spirituality, Total Surrender, Zen1 Comment on Surrender to Life and be free!